On 31 March 2014, boredom visited me. So at 8:00 pm, I found myself sitting inside my walk-in wardrobe and staring at my clothes. Boy, do I have a lot of them! Despite my few trips to Salvation Army, Vinnies and Good Sammy to drop off some of my ‘unwanted’ clothes, the ones sleeping in my closet could easily last me for a year. Since it is the first day of the month, I decided to challenge myself, and the challenge is to have a ‘not to buy’ list for 6 months to lessen the guilt of owning too much. It will be tough but an unprecedented goal in my life. My ‘not to buy’ list is as follows: eye shadows, blushers and lipsticks, cardigans and knits, belts, leggings, jeans, jackets and coats, tops, dresses and shoes (I know!). I have a plethora of these items sitting in my closet and I have not even used all of them. My goal is to make the most out of the 6 months to wear them and get the value out of them. 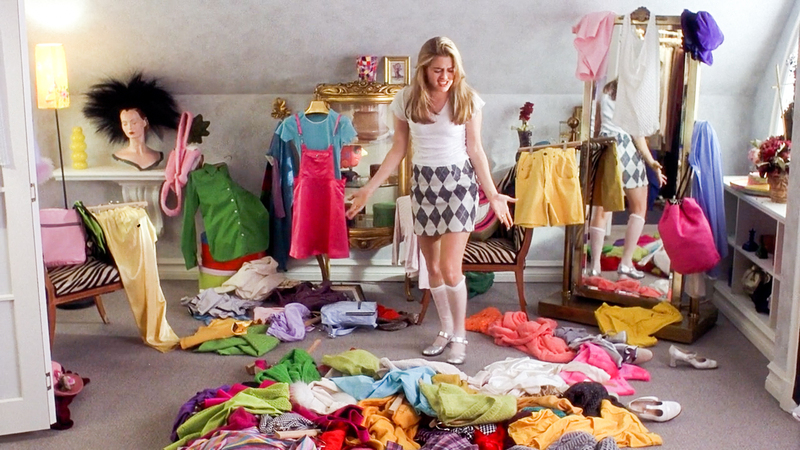 I often hear myself saying under my breath that “I have nothing to wear” or “I don’t know what to wear” whenever I am getting ready for work or attending a social gathering. These words are too familiar. The truth is, I have plenty to wear but I think my subconscious mind is constantly reminding me (whenever I enter my walk-in wardrobe) that I need more things so I could satisfy my shopping craving. To help me succeed the challenge, I told my friends about it and I am glad I did as they’re are supporting me. For example, when I went for a leisure (cardio) window shopping exercise with a friend, I couldn’t help but pick up a top from one of my favourite shops. He then asked me whether buying a top was part of my list. I said yes and, without hesitation, I returned the top to where it belonged; on the clothes rack. That was bitter sweet, but I felt brave and more determined to continue with the challenge. Maybe I can do it! No. Strike that. I can do it!